Data analytics (DA) is not the buzz of today; but, it’s the base of any decision taken on calculation. 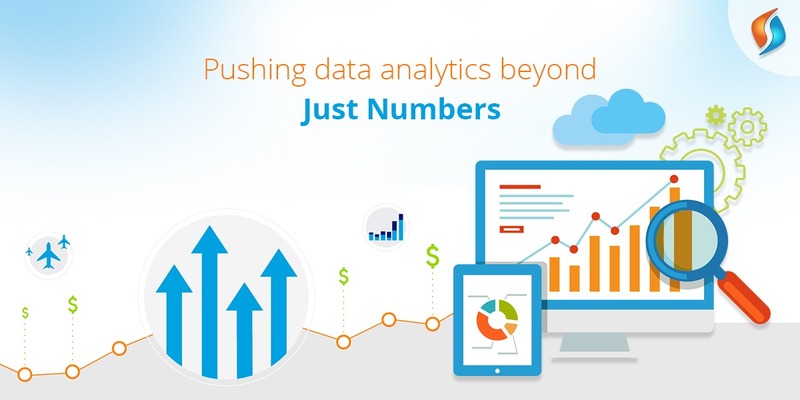 Data analytics, as the name goes, is the structural arrangement and quantitative technique of numerous data in order to reach a state of concrete statement with the support of the analytical system and software. Like, if the weather is a data, then climate is the Data Analytics. The success of Data Analytics lays in its universal necessity. Commercial domain, especially e-commerce and R&D vertical needs data analytics the most. Tensorflow Development is the most frequently used and most reliable data analytics of today. Tensorflow Development with Apache 2.0 open source license is the heart of dataflow programming. This is an open-source programming library that handles the widest range of data analytics responsibility. Business to Customers or the direct selling business need Data analytics the most; all the behavioral pattern, purchasing nature, money spending trend, business flow, and economic forecast: all are collected, assembled, extracted and bifurcated with Data Analytics. Basically, building machine learning projects with Tensorflow give you the platter of evenly cooked information to determine your upcoming footstep. Since the 1950s, Data Analysis was on the market predominantly though without being coined with the market name. Basically, spreadsheets were the forefather of Data Analytics. The two add-ons that have differentiated formal Data Analytics from the original spreadsheet one are; speed and accuracy. Indeed these machine learning resources are becoming the future of marketing. This goes without saying, these 3 specifications have taken the on-spot decision making capability to a new elevated standard. And this feature has also given the businesses the liberty to go beyond manual strategic decision that has given the businesses wing of tremendous progress. Cost Efficiency: With any cloud-based analytics, Tensorflow Development and Hadoop like big-data technologies in AI & Machine learning users can store a colossal amount of data at an incredibly small amount of space. Therefore, Tensorflow Development along with data storage management system has brought the revolution into the cost of data storage. Also, the accuracy of the stored data are incomparable to the manual data storage. And this also implicitly helps in reducing cost. Inventory Products: Spontaneous strategic help of decision making, big data storage capacity helps in measuring the customer behavior very well. And so tensorflow projects again serves the customer according to their wish; what they want to see is just what they see. And of course, this is by far the best thing that a business can ask for! And this is where we at Signity Solutions as one of the premier machine learning companies in India can prove to be your best friend. We have years of experience in building machine learning projects with tensorflow. We promise to bring the best ai consulting services for you. To hire outsourcing team, simply drop an email to info@signitysolutions.com and we promise to help you with our state of the art tensorflow development services.